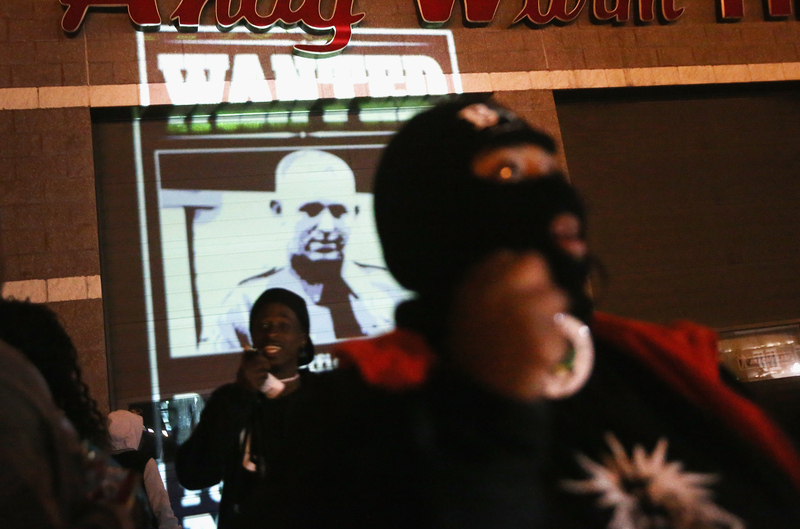 The residents of Ferguson, Missouri could not have anticipated the untimely death of unarmed teen Michael Brown. They could not have anticipated the firestorm that would erupt as a result of Brown's killing, nor could they have expected the descent of the media circus, nor the arrival of the National Guard. But now, Ferguson is preparing for the unthinkable — that the man who shot Brown, Officer Darren Wilson, may return to active duty if he is not indicted for the teen's death. While citizens and policemen alike have taken measures to steel themselves, both physically and emotionally for the possibility of Wilson's acquittal, it seems that little thought had been given to what it would really mean for Wilson if he were to be found not guilty in Brown's death. While Police Chief Tom Jackson told Yahoo News that Wilson would "most likely" be terminated if he were found responsible for Brown's death, he also provided a sobering look at the alternative. According to Jackson, Wilson would be "immediately" returned to active duty if he is not indicted. On Friday, Yahoo News reported that Officer Wilson would likely be placed on a "not yet determined assignment" after rejoining the force. For the last several months, he has been on paid leave from his duties. I cannot fathom the thought, [Michael Brown's] family cannot fathom the thought of Officer Darren Wilson returning to the Ferguson police force. [Wilson]’s always going to be dealing with the emotional scars of the event itself...It’s going to be a tough situation for him. Hopefully the department will support him if he’s not charged with a crime. And part of supporting him, Gorksy seems to suggest, would include not immediately returning Wilson to the largely African American streets of Ferguson. Already, the small town of 21,000 is preparing for the worst as police officers arm themselves for what many believe will be a series of protests following a not guilty decision on Wilson's behalf. The St. Louis County Police Department has already shelled out $200,000 on riot gear and a variety of ammunition to respond to potential protests. Now, Chief Jackson's claims that Wilson may soon return to protect and defend Ferguson residents has only added fuel to the fire. Following his initial statements, Jackson clarified his comments on Saturday to MSNBC, noting that even if the grand jury does not indict Wilson, the police department will conduct an independent, internal investigation of the officer to ensure that he followed their protocol and policies. While Jackson noted that Wilson would legally be allowed to return to the force, certain procedural steps would have to be taken before he could be fully reinstated. However, according to David Klinger, UMSL professor of criminology, it is unlikely that the department's review of the case would yield contradictory results to the grand jury's findings — if Brown's death is "ruled legally appropriate," Klinger told local news station KSDK, "an internal review will reach a similar conclusion." The statistics, unfortunately, were not and are not on Michael Brown's side, both before and after his shooting. Data suggests that black men are indeed shot more frequently by police officers, and more often than not, there are no consequences for the officers involved. Delores Jones-Brown, a professor at John Jay College of Criminal Justice and a former New Jersey assistant prosecutor, told Mother Jones, "...for whatever reason, juries and prosecutor's offices are much less likely to indict or convict" when it comes to cases involving black men and women. This trend has been supported by incidents from this year alone — the shooting of John Crawford III in an Ohio Walmart has been all but dropped by the legal system. In September, a grand jury, the same body that is weighing the evidence against Wilson, chose not to indict any of the policemen involved in Crawford's killing. At the time of his death, Crawford was in the process of purchasing an air rifle, and when he refused to drop the BB gun, he was shot dead. In another instance, the trial of the officers involved in the killing of mentally ill Ezell Ford was stalled after the LAPD placed an indefinite "investigative hold" on Ford's autopsy report "to prevent witness testimony from being tainted. "Just three days ago, Los Angeles Mayor Eric Garcetti ordered that the autopsy results be released, but there is still no word on when the investigation will reach its conclusion, nor what the consequences for the policemen will be. With this sort of precedent, it seems unlikely that Wilson will face any legal repercussions for his actions. Both leaked reports and legal analysis from those like Yishai Schwartz of The New Republic claim that an indictment is unlikely at best. And now, the consequences of such a ruling are being made all the clearer. When speaking with MSNBC, Chief Jackson noted that he had not spoken to Wilson since he was placed on leave, and further, that he had received no indication of Wilson's intentions for his future with the department. But the very existence of Wilson's optionality is enough to put many in Ferguson and around the country on edge.